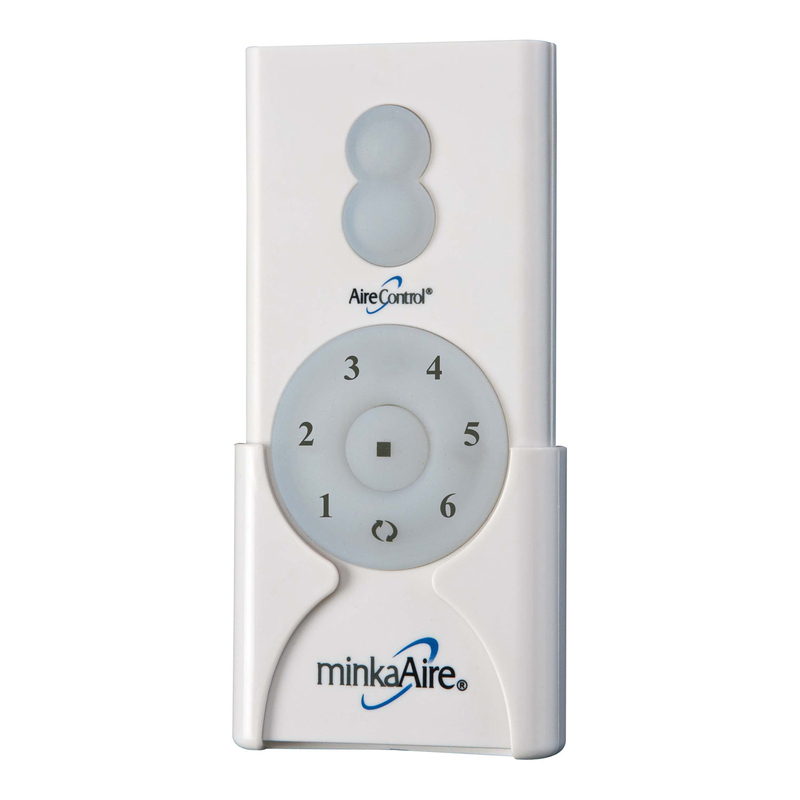 Minka Aire RC400 AireControl System Fan Remote - This stylish remote coordinates well with Brushed Nickel, Polished Chrome, Oil Rubbed Bronze, Antique Brass, Flat Black and Polished Brass finishes. The remote has seven speed fan control with forward/reverse capabilities. This wireless remote control can operate at a distance of 40 feet and comes complete with mounting hardware/wall holster.